AND WHY GET ASBESTOS TESTING? 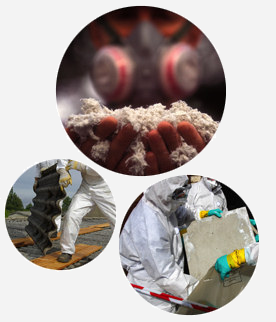 Asbestos is a dangerous fibrous material that is found in a large number of commercial and residential properties. It is a carcinogen that can create very serious health concerns such as mesothelioma and lung cancer. Unfortunately, the material is still found throughout many residential and commercial building in Ontario…and even more unfortunate is the fact that it is very difficult to identify by the naked eye. Additionally, asbestos is often mixed with other materials commonly used within your home or office. These “Asbestos Containing Materials” (ACM) need to be investigated and properly tested by an accredited lab in order to minimize exposure risks. If you have an older home or building, it is imperative that you have an asbestos inspection conducted by a properly trained professional with the right equipment, knowledge, and experience. AND HOW DO I KNOW I HAVE IT? 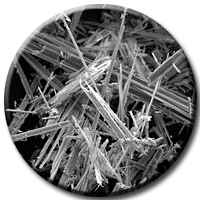 Demolition, construction, renovation and even improper attempts to remove asbestos can release dangerous fibers into the air where they pose the highest health risk. It is common for home or business owners to not even be aware that they have disturbed asbestos and that they may now be breathing it in. That is why the process needs to be handled by a professional. At Informed Decisions we are dedicated to providing affordable, reliable and timely asbestos testing and asbestos sampling for our all of our clients. Our commitment is to taking every protective measure to ensure your safety. If you suspect you have possible asbestos within your home or business then call us!